It was with great excitement that I joined the ” 4th B2B Marketing Colloquium – Innovation in B2B Marketing” at Bournemouth University on Friday 6th October. An action packed agenda, and a chance to present a paper on: “Transforming Key Account Managers into Managing Directors of Accounts“. A subject very close to my heart, having worked with sales, marketing and service leaders on development programmes which have unlocked their leadership potential and in some cases enabled them to move into higher education. The paper is one we are now working on in detail, I would love to hear your stories. I will post more detail here. If you would like the slides, drop me a line: liz.machtynger@customeressential.com. 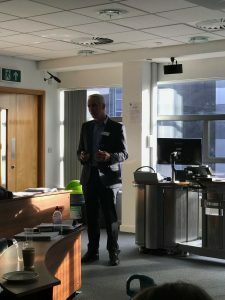 There was much debate and a keen interest in how the academic world should become more integrated into the world of business and therefore providing greater thinking and impact for the individuals and organisations they interact with. I am quite sure there is a lot more on this to come. The most exciting part of the day was listening to two fantastic speakers: Mike Russell and Luke Robbins. Each have just completed their MA in Sales Management at Portsmouth University having converted onto this programme from the leadership programme we worked on with them at RSA. 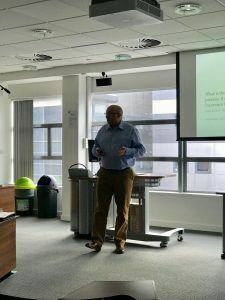 Mike presented his work on Social Media in B2B and Luke on Portfolio management. Both gave great presentations and it was a proud moment for us to see them graduate and present to an esteemed audience. Congratulations guys!